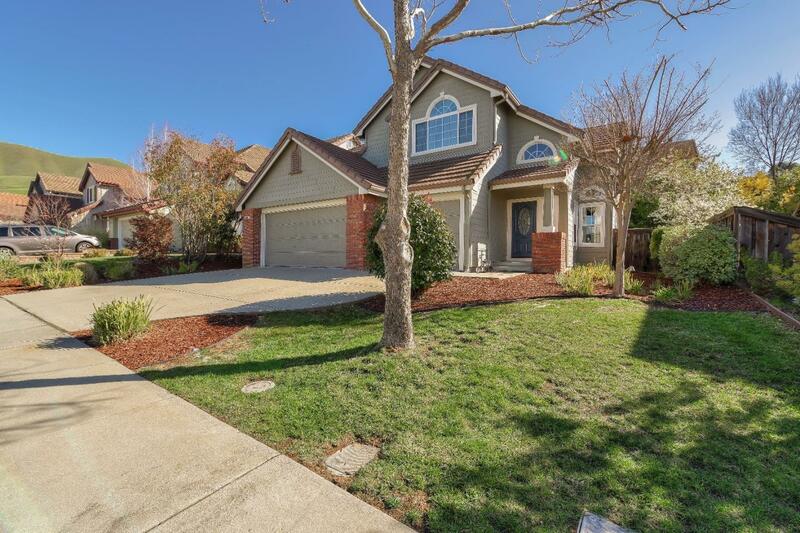 This 4 bedroom charmer may be the one you've been waiting for! The curb appeal is an A+, with distinctive brick accents, tile roof, a 3 car garage, and lush landscaping. Inside you'll be welcomed by soaring ceilings and oversized windows that wash this home in natural light. The kitchen opens up to the family room and is simply an entertainer's delight! Featuring stainless steel double ovens, a double door fridge, and a gas range that will bring out your inner chef! The layout is perfect for gatherings with an inviting breakfast bar and even room for a kitchen table where guests can mingle before sitting down in the separate dining room. The living room boasts a majestic staircase and there's a neutral blend of fresh paint & new carpet to calm your nerves after a long day. The master bedroom retreat is huge and there's also a full bedroom & bathroom on the ground floor that's ideal for guests. The rear yard is a private oasis with 2 decks, lush grass, flagstone, & even a veggie garden!